You can add custom checklists to an agent's profile to create a list of items you want to complete in order to fully onboard a new agent, or anything else specific to that agent that you want to make sure is completed. Go to Settings > Agent Checklists to create your lists. 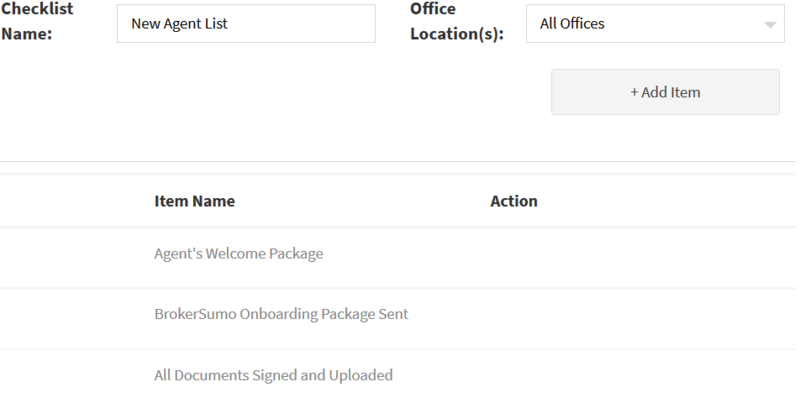 You can create different lists for different offices as well. In an agent's profile, you'll find a new tab called 'Task Checklist' where you can add a list and mark items complete. 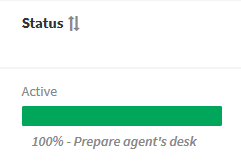 On the agent overview page, in the Status column, you'll see the progress of your check list for agent's who have a list assigned. This is only a broker/staff feature, the agent's won't see or have access to this list.